Leon Takes Us Outside (Leon suite w/”I’d Rather Be Chrome,” “We’ll Creep Together,” annotation/links). Leon Takes Us Outside (Outside). Of what was once a tangled forest, all that remains are a few saplings. So the opening track of Outside, “Leon Takes Us Outside,” a minute-and-a-half piece consisting of guitar, piano and synthesizer accompaniment for a voice that murmurs a list of random dates and holidays, is the only surviving piece of a 21-minute musical suite. Likely planned as the first of the three Leon suites, the “Leon Takes Us Outside” suite, which begins with the “Leon Takes” fragment, devotes much of its length to two movements that have been bootlegged —the “OK Riot/I’d Rather Be Chrome” sequence and “We’ll Creep Together,” the latter unfortunately circulating in a maimed version. Where the “Enemy Is Fragile” suite featured a set of paired characters (detective/suspect, child victim/elderly witness), “Leon” centers on the mysterious figure of “Leon Blank,” outsider artist and possible killer/martyr. The only other voices appearing in the suite are those of Bowie’s various deranged narrators and of the detective Nathan Adler, who apparently sings the climactic “I’d Rather Be Chrome” sequence. While Leon Blank’s perspective survives in several of the Outside songs (“I Have Not Been to Oxford Town,” whose ancestor may be in the “Leon Takes” suite, is from his POV, for example), this intro fragment is the only time that you hear Leon “speak.” He’s just whispering a stream of random information, a conflation of American and British (Leon mentions both Michaelmas Day and Martin Luther King Day, says both “July 6th” and “5th March”), as though he’s programming a string of code, a sequence to wake up the machine. As Nicholas Pegg noted, its similarity to the buzz-and-murmur opening of one of Eno’s most recent projects at the time, U2’s Zooropa, is likely no coincidence. Bowie, co-interview with Eno for Time Out, by Dominic Wells, 1995. Leon’s rap sheet seems to reference Tricky’s life. The son of a Ghanaian-English mother and Jamaican father, Tricky had spent time in prison as a youth for allegedly buying counterfeit £50 notes from a friend, who later grassed on him to the police. And by 1994, when Tricky had split from the rap collective Massive Attack and was finishing his debut Maxinquaye, he was arguably the most vital musician working in Britain. Bowie rewrote him as Leon, a boundary-shattering artist who gets caught in a narrative web, and he used some of Tricky’s sonic trademarks—ambient street noise, esp. the sound of rain, and Tricky’s own murmuring flow, which Bowie is arguably imitating on “Leon Takes”—as signifiers on Outside. Was Bowie guilty here of fetishizing Tricky, or “outsider” artists (esp. racial minorities) in general? (The late Haitian-American artist Jean-Michel Basquiat is also in the mix here—soon after he made Outside, Bowie would play Andy Warhol in Julian Schabel’s bio-pic of Basquiat.) We’ll dig into this more in the upcoming “Narratives” entry. But it was in keeping with an established Bowie strategy. He was an adventurer who needed occasionally to replenish his stock of forward scouts, so he appropriated various “outsiders” for his own ends, whether as collaborators or as symbols (or, in Iggy Pop’s case, both). Recorded ca. May-November 1994, Mountain Studios, Montreux, and Westside Studios, London. 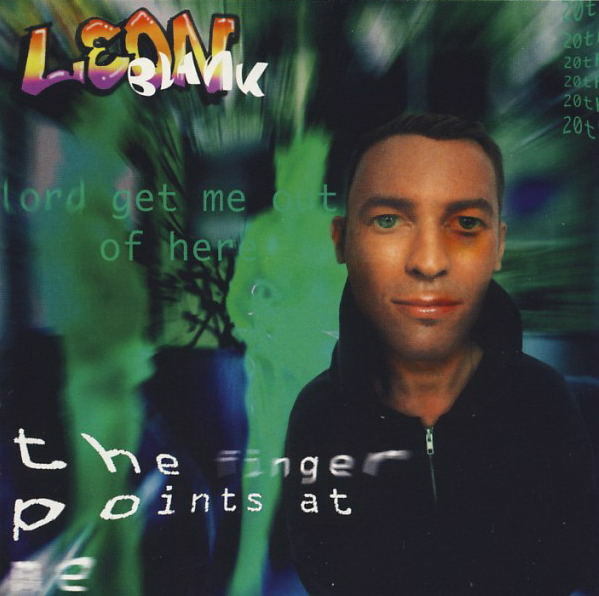 Released (“Leon Takes” song fragment) in September 1995 on 1. Outside. 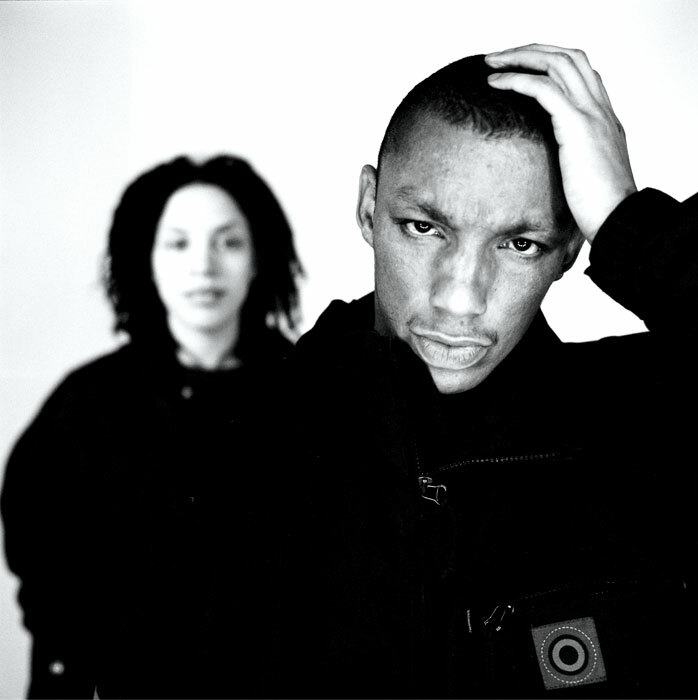 Top: Tricky and Martina Topley-Bird, 1994. This entry was posted on Monday, January 28th, 2013 at 9:57 am and is filed under Leon: 1994, Outside: 1995. You can follow any responses to this entry through the RSS 2.0 feed. Both comments and pings are currently closed. feels like BoS, though I’d prefer the spoken vocal not to be there. As probably will happen more through the album. hoax will surface here later. yes, Nat Tate is going to show up soon. By the way, I had to check if it was Tricky that icelandic singer Björk had an affair with, but no, it was Goldie. And the internet tells me that Bowie appeared on a track on Goldie’s 2nd album. I didn’t know that! agree Leon Takes/Outside is a great sequence, but the latter is a much different bird—coming out of a Tin Machine outtake that DB also tried for Black Tie and finally cut in ’95. as we’ll see eventually. Excellent and enlightening, as ever. Thank you. NB. Should the recording credits actually read “Westside Studios”? I always thought Leon Takes… and Hallo Spaceboy came from the same place musically, sonically? They definitely have some chords in common. And the guitar. Anyway…..
Great write-up! I like this intro, as it were, to the album…and I kind of like how short it is – it’s what makes the motif of it strong. Interesting to read about Leon (almost wrote Levon…oops….Leon is not supposed to be a good man!) and the Tricky connection. Cool! Yes. BUT I guess *why* they used it is because the two “songs” already have something in common. But yeah, thanks. I’m a huge PSB fan but haven’t listened to their version of HS in ages. Shame on me. Now, this is what I wanted to read here. 😉 I wonder if anyone knows more? I can hardly say how glad I am that at last someone has set himself the task of unravelling as many of these knots as possible and giving fans an approximate view of what the completed project might have been like. I can’t fathom how you’re going about it — I get frustrated untangling my earbuds — but I’m truly grateful. Confirming the influence of Bowie’s Phillip Jeffries role in Twin Peaks, this one feels very much like Angelo Badalamenti’s theme music to me. There are times when Bowie’s references and influences don’t touch mine at all. The Stan Kenton influence on Let’s Dance, the Pixies influence on Tin Machine, for instance. But this is a moment when I feel very much on the same page. The cult of Twin Peaks and the cult of Tricky were very significant features of my early 90s: I recall Twin Peaks viewing parties in which a group of us shared cherry pie and “damn fine coffee”, and I recall the absolutely revitalising effect of Tricky’s Maxinquaye album, the shock of its haunted, sinister gentleness. That plus the influence of the slick, amoral new British art scene and, more generally, what you might call the mainstreaming of postmodernist ideas (this was, after all, the era of the wild popularity of The Simpsons). I feel the presence of all this in Outside; it captures the best of the era. Bowie — semi-retired in the 1980s — suddenly seemed young and vital again, full of the vampiric eclecticism which made his 1970s so exciting. The realisation that “it’s happening outside” had, paradoxically, made him central again; an insider. In a weird way, the album intro version of Leon Takes Us Outside kind of reminds me of Character, the opening intro track of Iggy Pop’s American Caesar from two years before, with its eerily ambient feel and faintly-heard spoken monologue. I can quite easily imagine that Bowie felt rather the same way as Iggy about the ’70s vs. the ’80s, in that even in the drug-induced hell of the ’70s (having to deal with their own addictions as well as those of others) there was an energy and vitality, but that both of them started to lose their way in the clean-cut, business-oriented “white-bread” ’80s. You could say that both American Caesar and Outside represent both Iggy and Bowie attempting to get back to that same sense of creativity and vitality (minus the addictions, of course). I don’t know how many are you are familiar with a TV series in which Bowie appeared in 1999-2000 called “The Hunger” (I get the impression it wasn’t hugely successful, though I could be wrong.) Although it was produced and directed by Tony and Ridley Scott, it’s not to be confused with the Bowie vampire movie of the same name from 1983. Bowie mostly narrated this series, but there’s one episode in particular called “The Sentinel” which he starred in that shares many of the themes and obsessions of Outside. In it, Giovanni Ribisi plays a young drifter on the run from the police for murder, who shows up at the door of an infamous self-mutilation artist named Julian Priest (played by Bowie) who’s holed up in an abandoned prison. Priest, who is obsessed with death in his art because, he says “he resents it” has been living in exile after the public outcry following his last installation which involved crucifixions, chainsawing animal carcasses and peeling off his own flesh. To sum it up, Bowie captures Ribisi and plans to cut him up and inject fluid into his spinal column as his last great work of art. But in a strange twist Bowie has in fact self-mutilated once again, committing suicide by cutting off his own arms and legs and reducing himself to a stump. Good call; it’s definitely from the same sort of guignol-hardboiled-postmodern universe as the one evoked by Outside. Bowie plays a cross between Damien Hirst and Viennese Actionist Hermann Nitsch. Best of all, he’s able to use his own accent. I read somewhere that in the 1980’s TV series FAME, there’s an episode in which ‘the kids from Fame’ sing Bowie’s song Fame. In that same episode there’s a character called Nathan Adler. Perhaps the original Nathan Adler was an 18th century German Kabbalist. I’m sure Bowie had no idea who that Nathan Adler was, despite his own dabbling in Kabbalah. May be even Bowie’s reluctance to see his lyrics in print is due to NA the Kabbalist mystic ideas… So it’s quite possible he knew who NA was. I seem to recall (from wherever I’d originally read about this) that they sing Bowie’s Fame in either the episode immediately preceding the Nathan Adler one, or just after it. I’ve just checked from your link and Bowie’s Fame is in the episode immediately preceding the Nathan Adler one. It’s probably nothing, but I just thought I’d share it! Is Bowie doing an Iggy impersonation in “I’d Rather Be Chrome”?